Thankful is all we can say! 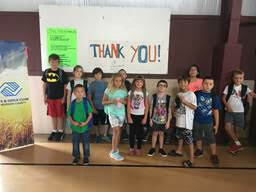 Your kindness has reached 251 youth with the Boys & Girls Club of Morgan County this year with our mentoring, programs, and activities – guiding our kids toward academic success, healthful lifestyles, and developing lifelong good character. We are truly blessed by your kindness and thoughtful giving! Every year we host a Thanksgiving Dinner for around 25 youth and their families. We always give something to each family to take home that encourages them to engage with one another. This year it was board games and building projects. 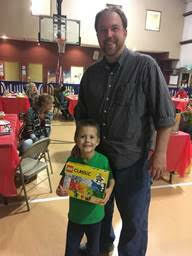 Thank you to the Riley Childrens Foundation for providing for our dinner this year! 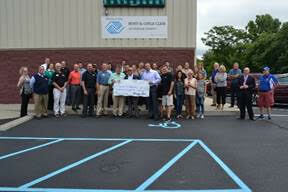 This Fall, leadership from LOWE’S Mooresville visited the Club and asked how they could help. They observed that our kids needed better storage for their personal belongings and a more welcoming membership desk to serve our families. LOWE’S also took interest in replacing our custom-made planters for our gardening program. 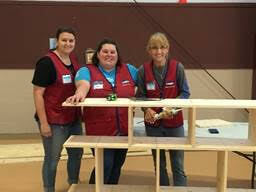 LOWE’S donated over 100 volunteer hours and a significant amount of new materials and equipment for a true day of caring on October 31st. LOWE’S volunteers built 45 Cubby units, 4 gardening carts, 2 membership desks, and donated 2 USB charging devices, 2 rugs, a ton of holiday decorations, and more than 10 pounds of Halloween candy that we shared at the Halloween Hike! The Mooresville Kiwanis Club came along-side the Boys & Girls Club and gave a truly transformational gift from their annual golf outing! The amazing good work that our local Kiwanis Club does to support all Morgan County Youth cannot be overstated. We are so Thankful for you for having our kids in your hearts! Amazing! Tis’ the season, Black Friday and Cyber Monday. Start shopping and get giving! Every dollar donated up to $10,000 will be matched by a generous donor. Make your gift a match for the Club, beginning November 27th, with Giving Tuesday – donations through our secure website, www.bgcmorgan.org, and through the end of the year with our Holiday Mailbox Appeal (in mailboxes soon). 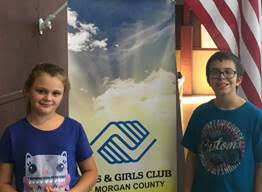 Joins us for two upcoming Boys & Girls Club of Morgan County events, provided at no charge to guests! 3rd Annual Santa for Girls and Boys! Saturday, December 1st , 9 am to 11 am, at the Mooresville Library. 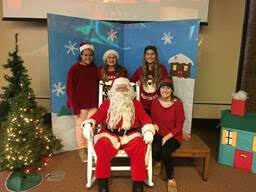 Visit with Santa and have your picture taken! A light breafast snack is provided by Meadow Lakes of Mooresville! 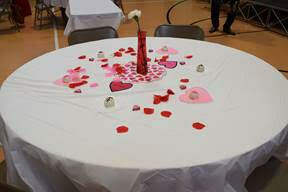 Save the Date: Eat, Thank, Love, Thursday, February 14th, 11:30 am – 1 pm. Donor, Club Friend, and Community Stewardship Luncheon! Thank you for having our kids in your hearts! Have a Happy and Safe Thanksgiving!